This will entail significant development and construction works including the destruction of large chunks of established woodland, the habitat of a huge range of flora and fauna. The development will also entail fencing-off large areas, permanently denying access to the general public to a facility that they have walked, roamed, explored and enjoyed at their leisure for generations. 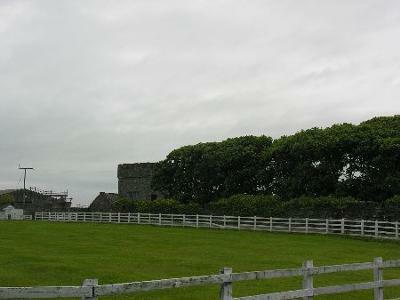 Whilst it is accepted by most people that Anglesey's tourist industry needs to be developed in order to help support the area economically, the part of the development proposed for the Penrhos Nature Park and associated woodlands should not be placed in that location but re-sited elsewhere on the island where it will not have the same devastating impact. Penrhos Country Park (also known as Penrhos Coastal Park/ Penrhos Nature Reserve, map reference SH2781) is a 200 acre country park near Holyhead on the Island of Anglesey. It is adjacent to the A55, on the Anglesey Coastal Path and also adjoins Beddmanarch Bay. It has been open for public use and enjoyment for over 40 years and is a very popular place for visits from locals and tourists alike. an Area of Outstanding Natural Beauty (AONB) forms part of the Anglesey Coastal Path Network and the National Cycle Track Routes 5 & 8. Parts of the wooded areas were created in the early 1800s with 15,000 broad-leaved trees. It has many rare plants that should be protected. It boasts a stunning coastline along with woodland paths meandering past pools and follies. It is home to a huge variety of flora & fauna ranging from humble fungi, through badgers, bats and foxes, to domestic & migratory birds including divers, grebes, sea ducks, gulls, terns, auks, a large cormorant colony, pipits, warblers, chats and buntings. Rarities have included Red-necked Phalarope, Mediterranean and Glaucous gulls, Golden Oriole; Black Redstart, and Yellow Browed Warbler.The List goes on. The area has been part of an AONB since 1967 with the sandbanks and mudflats of the Beddmanarch Bay being part of the Beddmanarch & Cymyran Site of Special Scientific Interest(SSSI). If we lose Penrhos Nature Reserve it would be Travesty.....for our future generations.....on Anglesey, in Wales and the rest of Britain. Please stand up to the developers! I am very sad to hear this news. Penrhos Nature Park is one of the most beautiful nature parks that I have seen in my journey life. I could not imagine this park with barriers. It looks more beautiful only due to its specialty without any barriers. My life has no wine. Then a sack could not fly. I standing having a fear. And however far you go... I am a seal. Yes, and I also collects clothes pegs. Why did two of the Councillors on the planning committee not declare their prejudicial interests in the Land and Lakes application today. Have they still not learned their lessons? Had they declared their prejudicial interests and taken no part in the discussion and voting their on, the out come my have been very different. The plan did not embody the aspirations of the community as evidenced by the petitions and letters written. The Ynys Mon Local Plan is integral to the Isle of Anglesey County Council (IOACC) legitimacy being that planning applications are decided in line with Ynys Mon Local plan the applicant, Land and Lakes ltd was bound to fail. ->Mr Sidi could not guarantee the minimal of jobs. And made it clear the 2 other area where dependant on wylfa b which hasn’t even been finalised he also confirmed he has no written agreement to house the workers in these 2 areas. He was unable to articulate his vision and throughout the meeting the entire land and lakes plans for the development were shown to be all smoke and mirrors. ->The community feels relieved that it has been rejected. The planning committee with its robust questioning revealed that pseudo economics accompanied the application. Conjecture and supposition was routinely used to qualify findings. Failure to preserve it for future generations would have been devastating to the natural heritage of Holy island given it has been used for 40 years and crucially signifies a spacial signal of inclusion. I have faith that the rejection of the planning application will stand because Mr Sidis defence of the application is vacuous and its foundations are built on false promise. Penrhos is a beautiful location and we have had many wonderful days out over there on Anglesey. Very sad to hear about latest developments at the council. why dont they reduce the number of lodges proposed and say they will not use them for workers at Wylfa B? Many people tell me the island has the skills needed for building work and for those specialists who do need to come here (minority), they can be accommodated in private B&B's at various locations across Anglesey. If you build a camp for temporarsy workers, it can have some negative outcomes for the local community. We have been visitors to Anglesey for almost 40 years We look forward to coming back to Penrhos Coastal Park two or three times a year. There have been many changes there over the years but the proposed development is going too far. Many visitors must feel the same and we hope that we do contribute something to Anglesey each time we come here. Future generations need this area for recreation and general enjoyment. Save this for your children and their children - please! As an enthusiastic member of Holyhead community I am saddened to hear the proposals for the land and lake projects! The nature reserve is one of the best things about Holyhead. It is a beautiful area of countryside unmarred by industry! It should stay that way! I agree totally with all the comments agaist this development. The place is a RESERVE! That means it should be reserved and not destroyed. There is already cabin development in Rhoscolyn -- these types of development are seasonal and do not provide steady employment for local people. Please sign the petitions and write the letters. We must do all we can to stop this. There is plenty of land to Develop on without taking away the pleasures that countless locals and Visitors have and hope to have for generations,i cringe at the thoughts of you (moderated ****) people(moderated*****)that dare to suggest this developement at Penrhos.I wonder how you can sleep at night. Once complete all it will provide in the main will be seasonal, part-time, low skill, low pay jobs. That is Rio Tinto's bequeathment to Holyhead - sing for your jobs, we're off, laughing, with lots of money and we are going to trash your park before we go. Cheers and doubles all round. Anyone who thinks that this is the answer to Holyhead's problems is an idiot. Every single holiday site across North Wales imports large chunks of it's workforce seasonally, from out-of-area agencies,(usually Merseyside/Gtr Manchester) on 10 month contracts, living on-site. As a rule they even stick to under-21's so that they can pay the lower rate of minimum wage. Exactly the same will happen here and if you do not resist this you deserve the contempt which both Land & Lakes and your own politicians are showing you. Peasants ye are and peasants ye shall remain. ££££ the root of all evil!!!! Penrhos should be Promoted More NOT taken from us!! Seems strange to me that the Council at Holyhead (who we have NOT voted in by the way!!!) have not used Penrhos Nature Reserve to it's full Potential and advertised it strongly with the Welsh tourist board. Cllr Trevor Lloyd Hughes is the 'Portfolio Holder for Tourism and is responsible for promoting the whole of the Island of Anglesey. Then can I ask you, Cllr Trevor Lloyd Hughes.......why is it that Penrhos has and is never promoted??? It is surely a Jewel in the crown and should be rightly advertised as such!.. Look online or on any up to date brochure you will see, The South Stack...The Mountain, The Country Park and The new Coastal Paths.....NO Penrhos Coastal Park!!! Ah! !just thinking, is the reason possibly that the Council do NOT own Penrhos Nature Reserve and wont be pocketing a penny from it's beautiful natural resources.........or making any money from parking there, like they now do at The Holyhead Breakwater Country Park after the installation of the new Parking meter!!!Perhaps??? Perhaps NOT???? Over 100,000+ people use Penrhos Nature Reserve every year. The Council should be listening to and engaging with the public (not hiding away and not answering their constituents, as they are presently doing)over their concerns about these ridiculous plans that Land & Lakes have for this (AONB) Area of Outstanding Beauty..
We are being constantly bombarded by the Government about how much they care about Ecology and Biodiversity, what devastating harm these kind of plans will have on the natural resources of our planet and for the future generations. Nature that cannot be repaired will be lost forever. I really don't have much to add to the already valid reasons given already. Yes we need jobs here in Holyhead badly. We need good quality work that will encourage our young to stay here and not seasonal minimum wage employment that this "venture" will bring. All the felling of trees and levelling of the land and building will go to outside contractors- those who will give the cheapest quote. Just look at the new pathway that has been laid in the last few weeks! Who got that contract? A Pwlleli firm! So much for local. Not forgetting that "local" actually means a 90 minutes travel distance! As it has been said, will anyone want to stay there will the noise from alpoco? Not forgetting a biomass will be operational soon-what smells noise will drift over? I cannot believe anyone- no matter how well heeled they are, would invest in a luxury cabin opposite an aluminium powder plant and biomass plant,can you? Holyhead has put up with years of pollution from that ugly big chimney , be gracious and allow them to keep the gift you gave them whilst they were useful to you AAM!!! I've said it before and will say it again; Rio Tinto bought up swathes of green belt land in the late 1960's to develop Anglesey Aluminium by compulsory purchase. The concession or sweetener for the local people was meant to be the retention of the Penrhos land as it was. So... Penrhos was the concession for the development of Anglesey Aluminium and now, the concession is to be developed. How the can they be allowed to get away with that? The council churns out the mantra 'it'll bring jobs to the Island'. I'm not against employment opportunities for Anglesey but I think it is convenient and totally shortsighted of them. It will chip away yet another piece off the face of Holy Island in the name of Anglesey. The whole Island is beautiful and has potential for another holiday development, though not everywhere is a nature reserve, holds AONB and SSSI status. So again, why here? I cannot believe anyone would support a horrendous idea like this. Why destroy all the living things there to produce an artificial, barren void.I'm wondering why Land and lakes thought that tearing out the trees and making it ugly will entice people to buy a cabin there? I doubt anyone would want to buy or even stay for a holiday there with the shocking noise emanating from Alpoco. Also is the new Biomass going to be silent when in production? Do we know much about how this will operate once in production? It makes no sense at all to put cabins there!! This enchanting woodlands along with its beautiful surrounding coastline brings in tourism. Why can't money be put into Penrhos as it is the Dingle in Llangefni and allow everyone to enjoy Penrhos and not those who can afford a cabin there? Yes, Holyhead is in desperate need of good quality employment and development, but I do not believe building a holiday park at Penrhos is the way to do it. First of all because of the disruption to and destruction of wildlife that will occur, reversing efforts made over recent years to safeguard, protect and encourage both flora and fauna. It will never recover. Secondly because if the development goes ahead, what will happen to the current suppliers of holiday accommodation in the area? I know tourism is very important for the island's economy, but is there really enough to support the current guest houses, hotels and self-catering places AND a big new hotel at Newry AND 500 cabins at Penrhos? It will be the small local guest houses that will suffer. Thirdly, I do not believe the figures put forward by Land and Lakes about the number and type of jobs that will be created. These new jobs will not be the skilled, well paid careers needed to replace AA and Wylfa. They will be minimum wage, part-time and seasonal. Yes, put some money into Penrhos, develop it and make it work for us, but NOT as a 500 cabin holiday camp. salt island has been taken over by containers, charge for parking down breakwater park,newry beach taken over by development and penrhos reserve bulldozed and replaced by chalets. and the town center is falling apart..holyhead mountain! !might as well stick cable cars there just for the finishing touch. I dont have a problem with the development, I just dont want to see Penrhos destroyed to make way for it. It is a place that is special to so many people in so many ways. It is not a piece of scrubby land that no one cares about. It is a NATURE reserve and has been looked after and cared for, for decades. It is a beautiful place that should continue to be preserved. There is so much unused and unimportant land that this development could be built on so please just leave Penrhos nature park alone. I am all for anything that will bring jobs and prosperity to Anglesey. It is sorely needed, whether it is in Holyhead harbour, Penrhos coastal park or Cemlyn. I will be directly affected if plans go ahead with Holyhead harbour as at present my house has uninterrupted views overlooking the breakwater, Skerries, Carmel Head and Holyhead Mountain. However I cannot ignore the fact that Anglesey needs development if it is not to become a place only for people to retire to or spend bank holidays at.If we all hang on to our NIMBY attitudes Anglesey will only become more of a backwater where the only hope for young people is to move somewhere else. when you really need them, where are they? thye will want our vote next year-knocking our doors saying how good they do . ask your councilor does he support the developer or the local people. This really has to be stopped. I have already signed two online petitions and will happily sign more if I can. The Penrhos Coastal Park is very special to me. It was my childhood playground in the days before Anglesey Aluminium (I actually grew up where AA stands today) and my father was largely instrumental in the setting up of the Coastal Park when AA took over the Penhros Estate. I have very strong feelings about this -- it's a wonderful place and so very important for local people to be able to enjoy. disaster!! just read yesterday Holyhead harbour going to be built with big marina.